There are so many jokes that can be made about this next feature, but there is only so much time in the day...so I am going to let YOU put all the bad puns in the comments below. 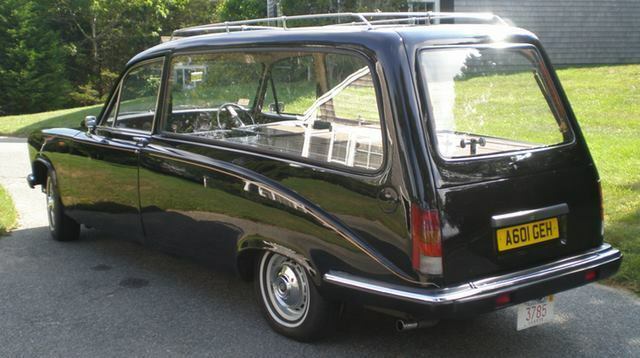 Find this 1991 Daimler DS420 Hearse here on eBay bidding for $10,000 in St Albans, VT with 3 days to go. 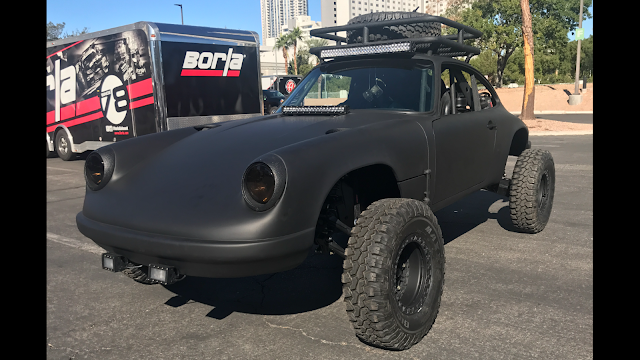 In the past few weeks I've been to SEMA and to the LA Auto Show (more on that in a later post) and it got me thinking about show cars for this week's Thursday Twister...the quiz with a twist. Find the best ex-SEMA (or other Hot-Rod) show car for sale on the interwebs. Be prepared to defend your choice. I'd like to offer some free DailyTurismo 12-Month wall calendars to DT readers out there in cyberspace, but with a big caveat...I need a photo of your car for the calendar. The plan is to put together a calendar of DT reader's rides...your car! It can be a car you've purchased on DT, found on the side of the road last week, or something you've owned since your 16th birthday -- it really doesn't matter. There you are, scrolling through craigslist with sleep still in your eyes and a cup of joe in hand, upon seeing a set of Welds on a frosty blue hardtop with louvers and a horsey badge, you may keep scrolling and think "yeah, just another Mustang someone has had their way with". But alas no! It's a piece of Japanese muscle that someone much more creative and contrived has bastardized. 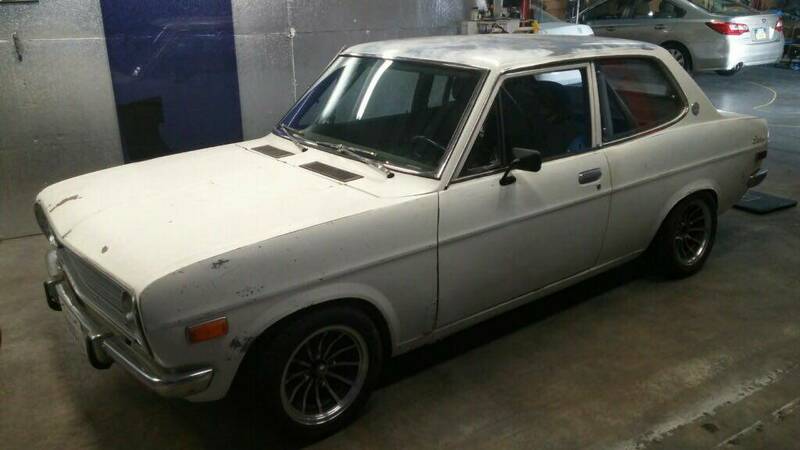 Find this Wankel powered 1971 Dodge Colt for sale in Durham, NC for an overzealous but negotiable $7,000 via craigslist. 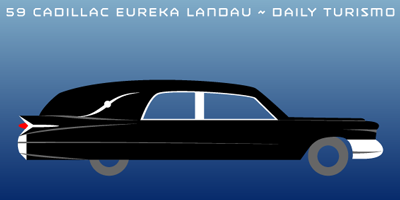 The Cadillac Eldorado was a gigantic front-drive personal luxury coupe that was sold to gangsters and rich housewives (or mistresses) but today's version is something special. It was Pierre Cardin's second attempt at automotive customization (after the AMC Javelin customs of the 70s) and started with an Eldorado but added Olds Toronado front fenders and a wild proboscis and all sorts of fancy accoutrements. 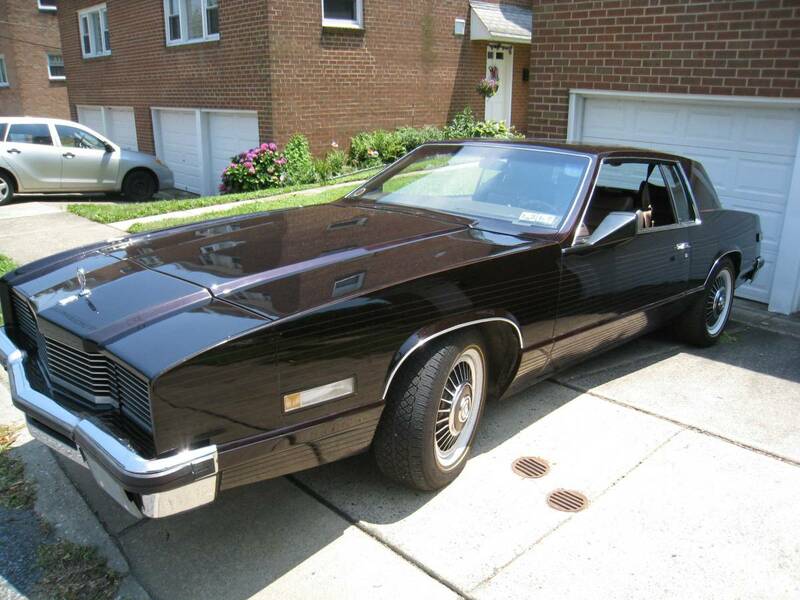 Find this 1981 Cadillac Eldorado Pierre Cardin Edition offered for $25,000 near Philadelphia, PA via craigslist. From Cory. I was all set to go for the easy laugh and write some snarky commentary about the poor, misunderstood Pacer, but then I read the text of the ad and it got me to thinking and almost brought a tear to my eye. I will let you read the full text of the ad below, but I leave this question to you in the lead in: What will you do with your old crocks when you can no longer care for them? Find this 1976 AMC Pacer for sale in Bothell, WA for $3,300 via craigslist. 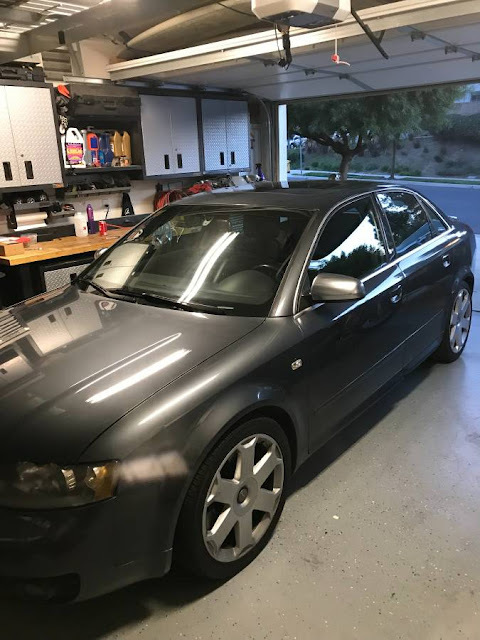 In 2003 Audi replaced the previous twin-turbo V6 S4 sport sedan with a car that now featured V8 power...but with the same Audi Quattro four-wheel-drive grip and countless expensive repairs just waiting for whoever chooses to drive it past 100k miles. This next one is REALLY cheap, which begs the question --how much can it really cost to repair? Find this 2004 Audi S4 V8 6spd offered for $3000 in Los Angeles, CA via craigslist. I remember going to the junkyards after school and finding them littered with old Coronas, Carinas, 810s, and Colts. Now a decade and a half later, they're barely in scrap piles let alone rolling down the road. Finding such a period correct example of Japanese-American iron that hasn't become either part of the landscape or someones drift muse is indeed a rarity. Find this 1978 Datsun 810 Wagon for sale in Marietta, GA for $5,900 via craigslist. It is Cyber Monday morning -- time to do some online shopping, time to solve the weekly What Am I? puzzle, and today we've got another hunk of junk that you need to identify. We all love a good bargain around here and most of us probably adore orphan American cars. Luckily, those two paths cross quite frequently but rarely with something that oozes so much cool. Yes, the final iteration of the Champion was mind-numbingly conventional for Studebaker in the day but today it's a different story. Find this 1956 Studebaker Champion for sale in Portland, OR for $3,500 via craigslist. The re-invented 21st century Mini was designed/developed around the turn of the century in a collaboration between Rover and BMW...but ultimately the design was much more Munich and not so much Gaydon. 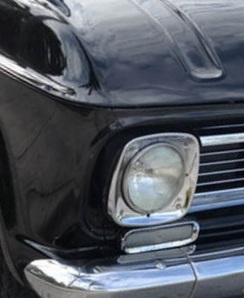 The car was produced in Oxford, England, but with an American designer, French engines, and German engineering, so it is about as British as bratwurst, Laissez-faire politics, or the metric system. It was, however, a paradigm of practicality, maneuverability, and unpretentious fun...this next example...not so much. 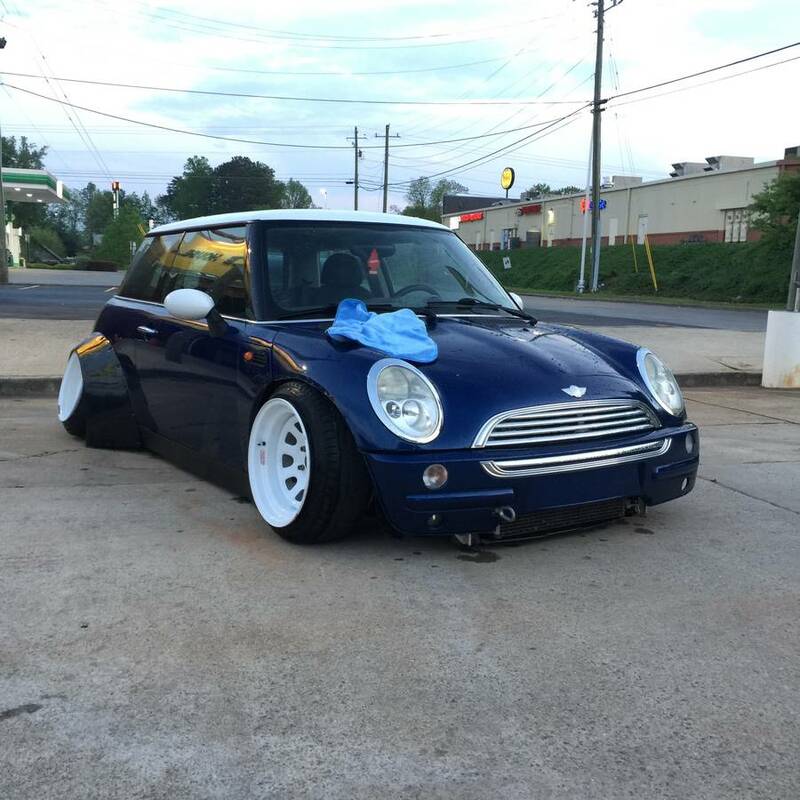 Find this 2004 Mini Cooper offered for $2,600 in Kennesaw, GA via craigslist. Tip from Jeff. Surely there is someone here who has an old Volvo and just wants a different one. Well, now there are two of you. Have a gander at this Amazon that the seller is keen to trade for just another old Volvo. If you don't have any derelict Swedish iron laying around, I guess you could max out your daily limit at the ATM and head over for a cash offer. Find this 1966 Volvo 122S for sale in Charleston, SC for pretty much whatever you feel like giving. The Mercedes-Benz W114 occupies one of those weird niches in the classic car world - it's old enough to be gazed upon fondly through the tint of nostalgia, yet not particularly revered among Euro car guys. 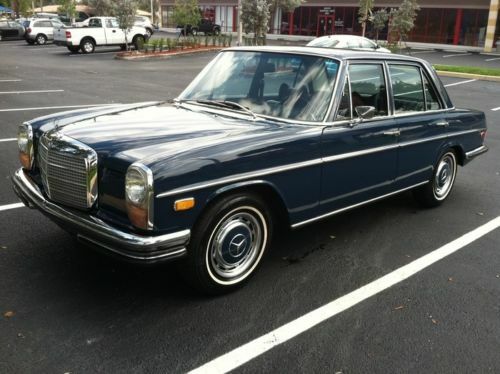 Perhaps it's because it's the successor of the hipster-cool Heckflosse / Fintail sedans, but the predecessor of the granola munchers' standard-issue W123, and doesn't stand out as much as either of those generations. Regardless, it's a classic Paul Bracq design underpinned by relatively modern engineering and a great choice for driving around town. 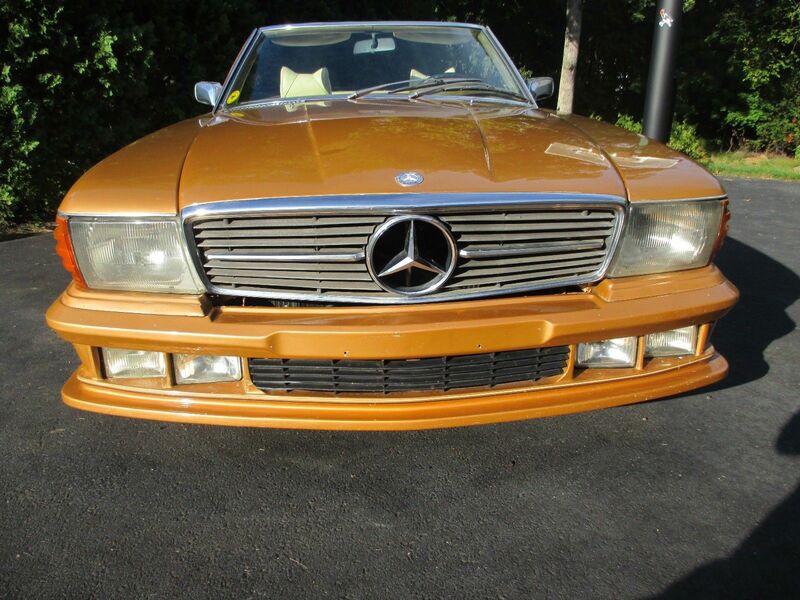 Find this 1971 Mercedes-Benz 250 W114 offered here on eBay bidding for $4,606 reserve-not-met with 2 days to go. If you are reading this from your cell phone after having spent all night camped out in front of your local Sears only to discover that Sears is out of business and you've inadvertently slept in a strangely organized homeless encampment...well...you wouldn't be the first person to have such an experience. FEAR NOT, DT is here to save the day! 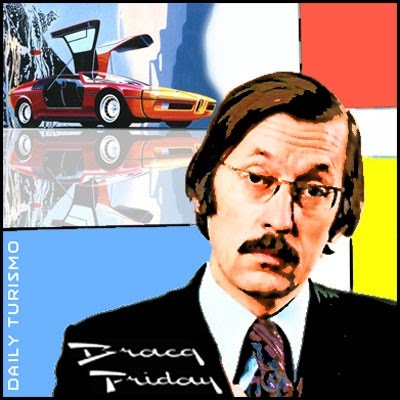 This is where DT's Black Friday celebration comes in...or...in this case, Bracq Friday; a celebration of a French born mustache enthusiast named Paul Bracq who just happened to design a good number of German luxury sedans. 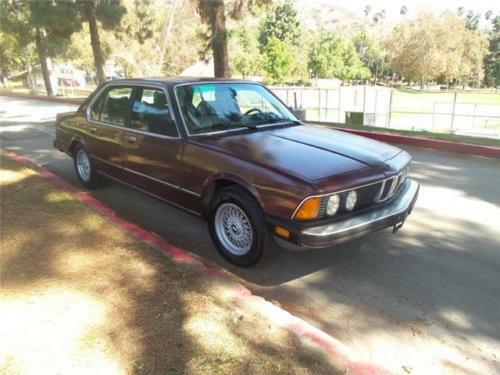 Like this 1985 BMW 735i offered for here on eBay for $2250 buy-it-now or make-offer, located in Glendale, CA. Find this 1973 Mercedes 450SL for sale in Chalfont, PA bid to $2,125 on eBay with a Buy it Now of $6950.00 ending on Saturday. The Lorinser body kit and pristine BBS Mahle wheels would be so much more appealing if the car was not painted a shade of turkey gravy! Today's Mid Week Match-Up comes as a request from Bri, who writes: Hello! 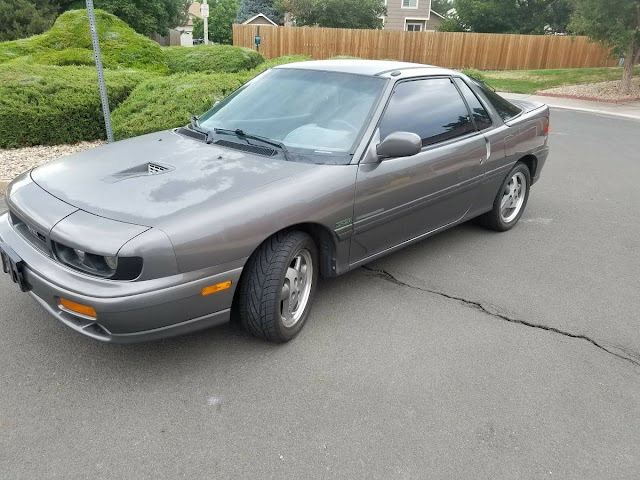 Christmas is coming up and I would like to purchase a 1988 isuzu impulse for my dad. When he was a kid he had to give up this car to get money for his family, he cried. 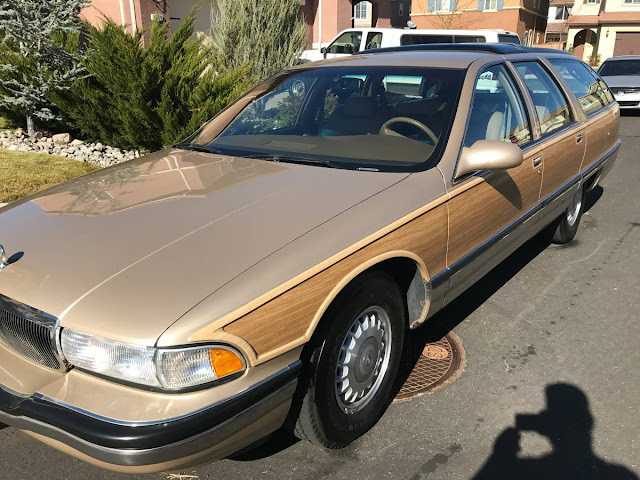 I would like to know where one of these cars would be available and the price. There is an old expression about bringing a knife to a gun fight, but I think this next car is closer to the concept of bringing a hammer to a knife fight. Just don't get bent outta shape if you smash a few fingers with this next beast. 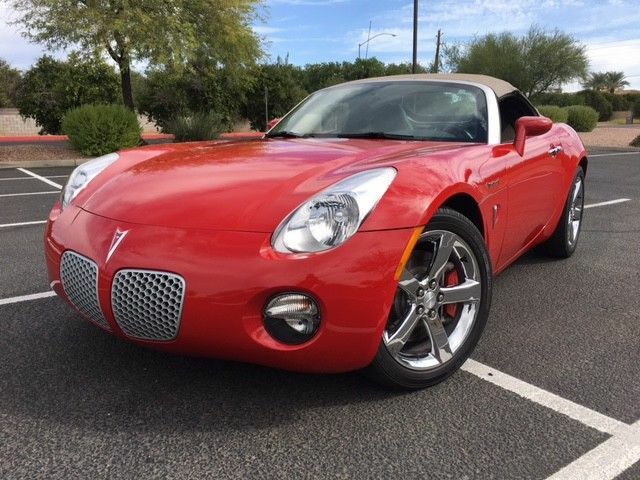 Find this 2007 Pontiac Solstice Mallet LS2 V8 here on eBay bidding for $6,800 reserve-not-met with 5 days to go, located in Mesa, AZ.